You might have made a resolution to take better care of your skin in 2015, and if so, you may be thinking that purchasing a luxe moisturiser is the first port of call. But before you part with those hard earned pennies - bearing in mind you might also have resolved to save more cash and not go splurging it all drunkenly on overpriced make-up like me – let me draw your attention to a new moisturiser I’ve been trying that won’t break the bank, but will yield some brilliant results. MeMeMe Cosmetics is a great little brand that doesn’t get shouted about nearly enough. 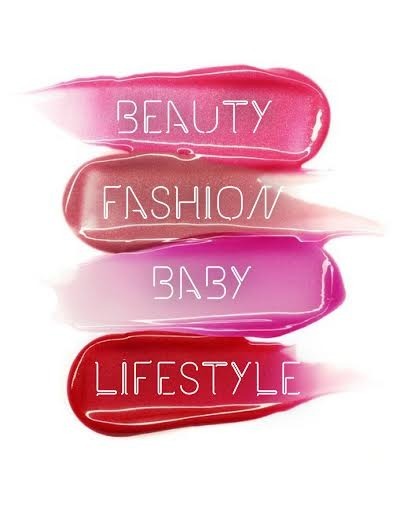 They have some high-performance, desirable products and I especially love their lip gloss, but the moisturiser is something new for me. If you get ready in a bit of a rush in the mornings, any products that save time automatically get a big fat gold star. Especially for face creams, you often have to compromise between getting the pampering, smooth finish of your dreams or having a greasy face where make-up slides straight off. 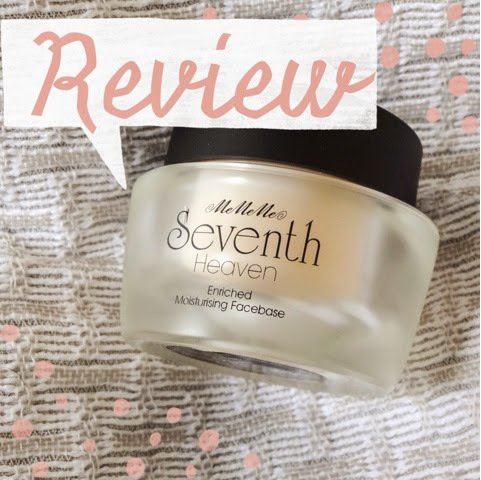 Well, this little product might just solve that one, because its described as a ‘face base’ – a cream that moisturises and primes the skin in one. £15 will buy you a 30ml jar of the product. The packaging is pretty middle of the road – not the most eye catching but not repulsive either. The frosted pot looks like expensive glass, but its plastic, which I prefer as if you want to take it anywhere, its much more easily transported. The jar is just prettily inscribed with ‘Seventh Heaven’ across the front, a name I really like because the formula truly is dreamy. I can see why they’ve gone for a jar (looks luxurious) but I much prefer my moisturisers to come with a pump. Its far more hygienic than dipping your fingers and all their assorted bacteria in and out, and it also preserves the effectiveness of any active ingredients, which exposure to oxygen degrades. The formula itself, however, is gorgeous. It strikes the perfect balance between nourishment and finish. When you put it on, it feels rich, creamy and super thick – perfect for the dry, cold weather we’re having, which can stress out skin. Usually though, a cream like that is way too heavy and leaves a bit of a sticky residue. Sometimes it feels as if you’re stuck – the lightweight lotion you love in summer isn’t enough, but heavier creams are overwhelming. The genius of this is that it’s the perfect balance – rich, yes, but it sinks in immediately. 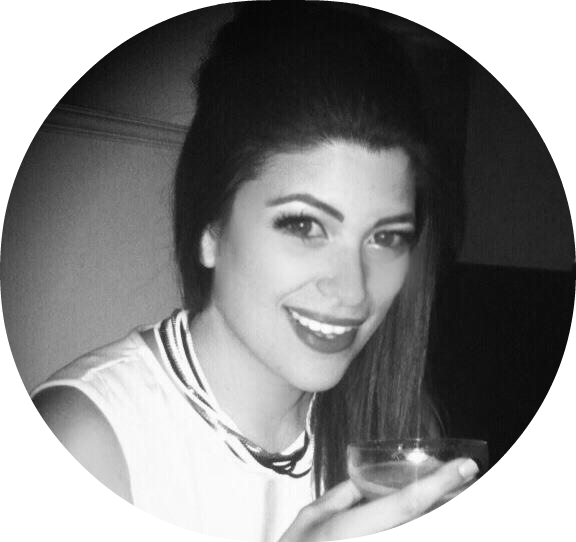 The finish is like velvet, and you can pop make-up on top straight away, which is ideal. I also really love the smell – which is like a sweet lemon and mandarin scent. 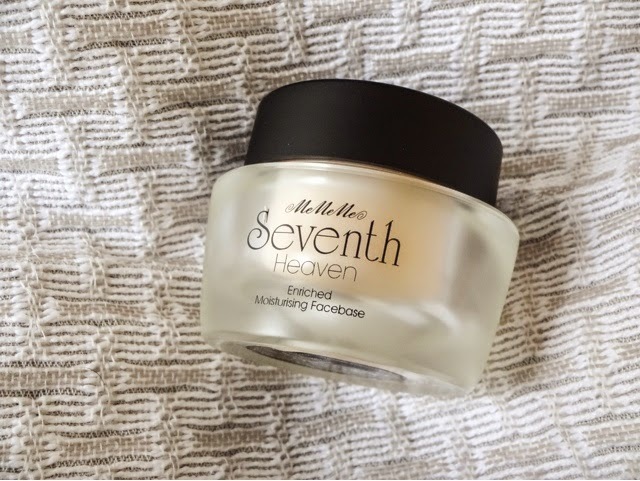 With citrus products, often I don’t like them because they just smell like Cif, but Seventh Heaven is mouth-watering, soft and fresh. 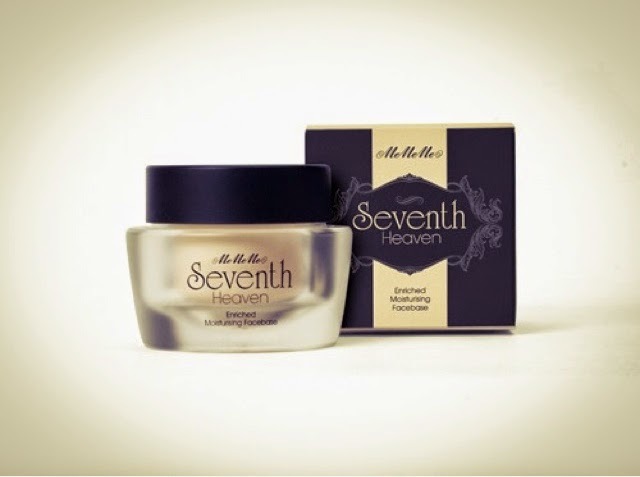 So what skin goodies will you find in the formulation? 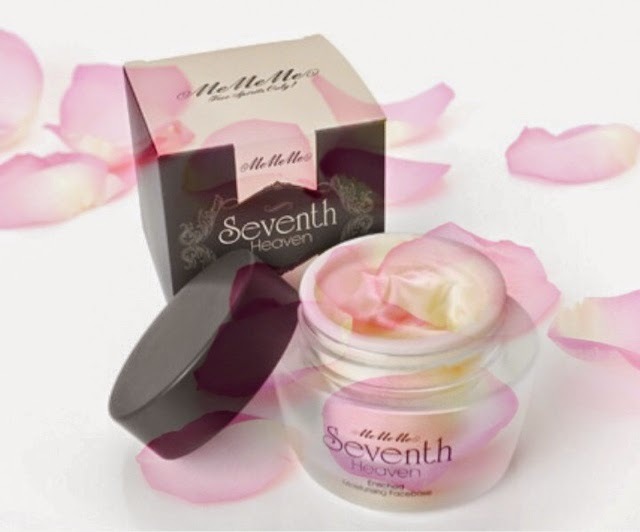 There are Shea Butter, Vitamin A and Beta-Carotene to nourish, hydrate and prep skin for make-up, as well as unspecified ‘active nutrients’ that brighten, smooth and even skin tone. Its really difficult to see a massive difference in tone, and as I use a serum that promises those things as well, its hard to say definitely that I’ve noticed a difference there. But what I DID notice was a certain glow to my skin and a long-lasting hydration – my cheeks still feel silky at the end of a long day. As for it being a ‘primer’ - that all depends what you mean by that. It doesn’t contain silicone, so you won’t see an instant smoothing of lines, and I’m not sure if anything in there is designed to increase the longevity of your make-up, but it does leave the skin in tip-top condition before applying your war paint. If you have dry skin though, it will definitely take care of the little rough dry patches you may have been using a primer to tackle before. Skin feels really comfortable wearing this, and as a normal skin type who’s a little dryer in the winter and oilier in the summer, this works well for me. Very oily skin types may not find a match here though. In all, a great smelling, rich but lightweight product that will perk up your dull winter skin nicely, and smell dreamy to boot. Have you tried MeMeMe? What winter moisturiser do you love? Let me know your discoveries below. I am seriously in love with mine!!! I loveeeee the smell!! !